was the Diocesan Historian of Meath. He was born in Slane 1826 or 1827.
in St. Finian's Seminary, Navan. Slane on 28th December 1872 . Father Cogan's great work " The Diocese of Meath Ancient and Modern " consists of three volumes having a total of 1,668 pages, published in Dublin between 1862 and 1870. There was a marked absence of documentary evidence on which to work, which made it necessary for Father Cogan to visit every parish in search of material. He did all this work in his spare time while still on the staff of St. Finian's. His work is to Meath church history what Sir William Wilde's " Boyne and Blackwater " is to the secular history of the county. Father Cogan was a pioneer of Catholic diocesan history in Ireland. No similar work was completed until well into the twentieth century. When curate in Navan he founded the Catholic Young Men's Society - an organisation aimed at taking unemployed and poverty stricken young men off the streets. The Meath People reported on 1861 "No right minded man can walk our streets without being impressed with the great social revolution the Young Men's Society has effected. Public intemperance and (im)morality....have here disappeared before its teaching and example"
Like Fr Eugene O'Reilly, he was a supporter of the Tenant Right League and a champion of the poor of the town - protesting to the local MPs against the mass evictions of tenants in Brews Hill and Chapel Lane in 1864. He died of a degenerative heart illness at the early age of 46, and was interred in the church in Slane, where a monument to his memory has been erected. The High Altar in St. Mary's Church in Navan was built in memory of Dean Cogan. 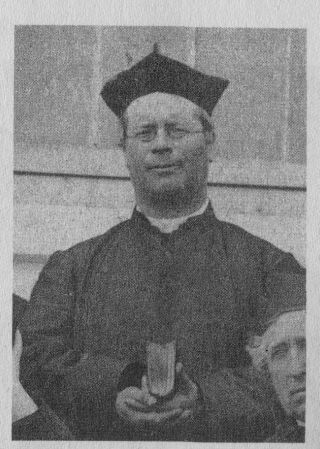 Diocesan historian, born in Slane 1826 or 1827. Educated at local school, St. Finian's Seminary, Navan and Maynooth. Ordained 25th May 1850. Having served as curate in various parishes, the last ten years of his life were spent as professor and Dean in St. Finian's Seminary, Navan. He died at his ancestral home in Slane on 28th December 1872. Father Cogan's great work The Diocese of Meath Ancient and Modern consists of three octavo volumes having a total of 1,668 pages, published in Dublin between 1862 and 1870. There was a marked absence of documentary evidence on which to work, which made it necessary for Father Cogan to visit every parish in search of material. He did all this work in his spare time while still on the staff of St. Finian's. His work is to Meath church history what Sir William Wilde's Boyne and Blackwater is to the secular history of the county. Father Cogan was a pioneer of Catholic diocesan history in Ireland. No similar work was completed until well into the twentieth century.